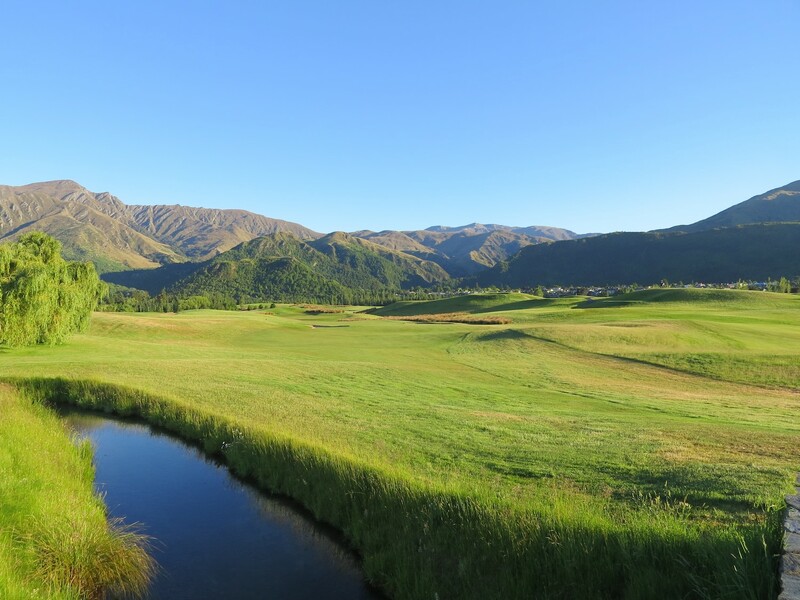 Developed by charismatic jeweler Sir Michael Hill, the Hills literally started as a backyard golf course on farming ground in Arrowtown that Sir Michael had purchased after moving back to his native New Zealand. 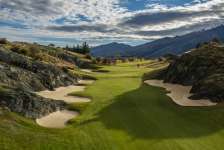 Initially there were just a handful of par threes, but his friend John Darby added a longer hole in 2002 near the Hill family estate, and then another hole that allowed the family to return easily to their house. Those holes are now the 5th and 6th, and the start of a project quite unique in the world of golf. More than just a high-end private golf club in a picturesque setting, the Hills is a living museum with an incredible collection of sculptures dotted across the property and between some of the holes. Most extraordinary is the 111-piece ‘The Wolves are Coming’ exhibition by Chinese artist Liu Ruowang, of an armed warrior trying to hold off a vicious pack of approaching wolves. The piece is set adjacent to the 18th fairway and very much in play for those who slice. Among the other highlights are a herd of cast iron horses near the 7th tee, a man leaning ominously on a bridge by the 10th and a series of nature-inspired pieces by Sir Michael’s own son Mark. Nothing about The Hills is conventional, including the design of the golf course. In many ways the fact that the design rulebook was thrown out here works both for and against the layout. The best areas are those that are quite daring, while in other places that same audacity seems misguided. The skinny par five 17th up through bunkered rock faces is one such example, where a waterfall down into a bunker diverts attention from an otherwise uncomfortably narrow landing area. The previous par three is also curious, water in the surrounding stream appearing to head uphill and cutting right in front of a very shallow target. Better are more spacious holes like the downhill 3rd and the strong rising par four 14th, which is a little cruel on shorter hitters but a solid test for the rest. Across the remaining holes the bunkering is quite arresting and the greens when quick and firm are more than a challenge for elite golfers. There are perhaps a few too many skinny areas and odd features for this to be considered an elite golf course, but The Hills is interesting and certainly fun to play. 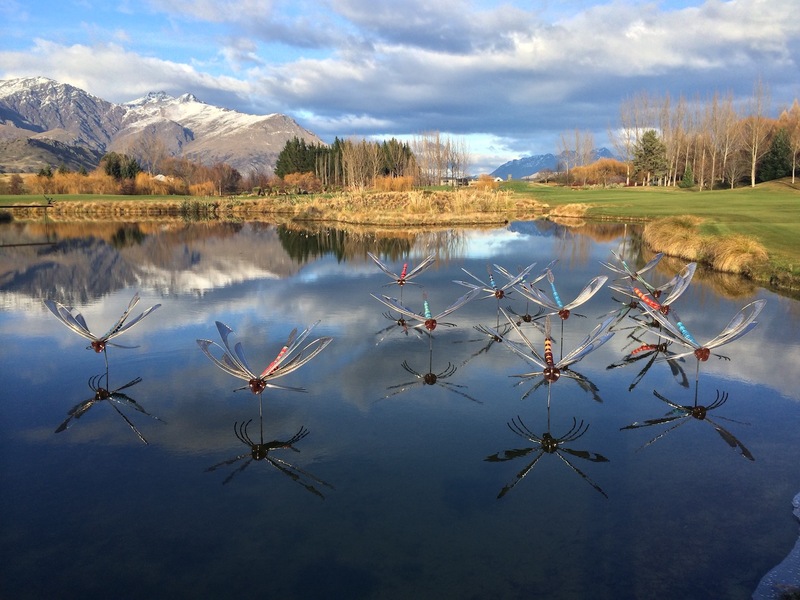 As well as the beautiful artwork on display here, the surrounding mountains and wonderfully original clubhouse provide a pleasant distraction.